Some time back I talked about Must have Subscription options for the blog, and I specifically mentioned your subscription box should be placed in a way, which will give maximum CTR. Now, the problem is people like to see what kind of updates you put in and then follow you. Also, giving an option to one-click Subscription is a must, as less click means better user experience for readers. One of the major problems with showing Social profile along with stream is loading time. When you try to integrate many social networks like Twitter, Facebook, YouTube and many others, it cost you the loading time. Which in turn not only bad for your readers, but also affect your search engine ranking, as Google consider page loading as one of the ranking factors. 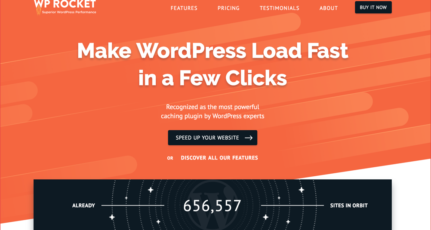 Recently, while browsing, I came across this new WordPress plugin that fits our requirement perfectly, and will help in boosting our Social media followers count to a great extent. Here I’m talking about one of the premium WordPress plugin that I came across on CodyCanyon, which let you add a Social slider box on the left or R.H.S of your blog. Also, when a user hover on any of Social media icons, he can see your social media profile stream and with one click he can follow you on Social media profile. The reason, I liked this premium plugin because this plugin not only takes care of loading time but also supports mobile compatibility. 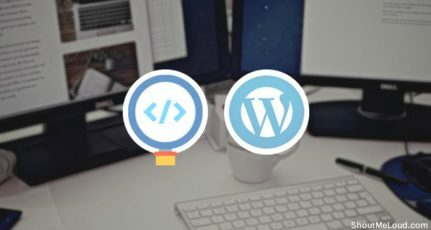 This plugin is powered by jQuery, so less loading time and it will work with all the WordPress themes. It’s not like those default sidebar subscription options that we see on most of the blogs, but it sticks to the left and right side of your blog, and you can use your valuable sidebar space for more content or advertisements. This plugin supports al major browser including IE7+. 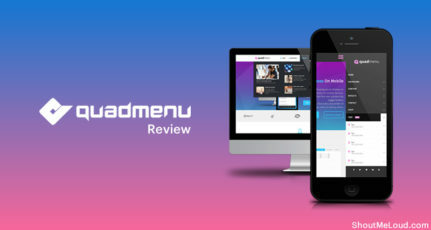 This premium plugin cost $15 and it worth each and every penny you spent, because if you see the working of this plugin on the official page, you will realize this plugin can help in boosting your Social media followers count to a great extent. There is also a free version of the same plugin available on WordPress plugin repo, but it’s limited to Facebook only. I have used static buttons on ShoutMeLoud some time back, and it worked great to get more followers. But, this plugin takes many steps ahead by integrating many popular social networking sites (Including Pinterest), and it shows the stream, and one click follows/subscription button, which makes it more useful and usable. This plugin also offers a different style for Social media buttons, which will help you to maintain the consistency of your blog design. Do try this plugin and let us know, how it worked out for you. Do you think, coming up with unique subscription box and placement ideas, will help you to get more followers. Wow. It’s really worth trying. Looking wonderful. I’ve seen the live demo of this plugin. They stand out from the remaining social buttons widgets. This plugin is really awesome and luckily pinterest button is also available. Seems it got a good admin panel and I hope to get this plugin soon. tried this plugin.must say awesome plugin but problem arrives when sometimes it stop working on hover it does not emerge out sometimes. What kind of CTR can you expect from it as compared to traditional static buttons?Have you tried it personally? I think its an awesome plugin . but it costs 15$ !!! Any one which is free and works best….. Which plugin you are using ??? I see the social sharing buttons on my right side and is it the one you are talking about here? The social plugin on the left side of your pages now doesn’t look like WP Social Slider. And the load time is great. Can you please tell me the name of your current plugin? These are custom code, and this is not because of these buttons, but many things. I use Google tag manager to load my scripts, and I’m on managed VPS hosting, which uses the varnish cache, and that improved the load time of pages, by great extent. Thanks Harsh. I just found AA’s Digg Digg Alternative plugin which looks like yours, is fixed in position, and loads fast. So I’m giving it a try.